This website is the result of my lifelong fascination with cats. Over the years, I have had the pleasure and privilege of having many beautiful cats as members of my own family. These beautiful, mysterious and captivating creatures have not only enriched my life by their mere presence, but have helped me better understand and appreciate the natural world. I truly enjoy the beauty and diversity of countless species of animals, but felines occupy a very special place in my heart. I feel that they are the most charismatic and majestic of all the animals and no other group of animals exerts a more powerful influence or compels more intense fascination from people than do cats. It is no surprise that, being a stamp collector from a very young age, I was naturally unable to neglect stamps with images of cats, lions, tigers and other members of the cat family. Throughout many years, my collecting interests narrowed down to stamps and philatelic materials related to wild cats only, and this website is dedicated exclusively to representation of wild felines in philately. I am planning to share with my fellow stamp collectors, and anyone else who might be interested in this topic, my award winning exhibits, published books and articles, as well as various checklists and researches. I hope that this website will be a good addition to numerous excellent websites and pages dedicated to the field of collecting cats on stamps. 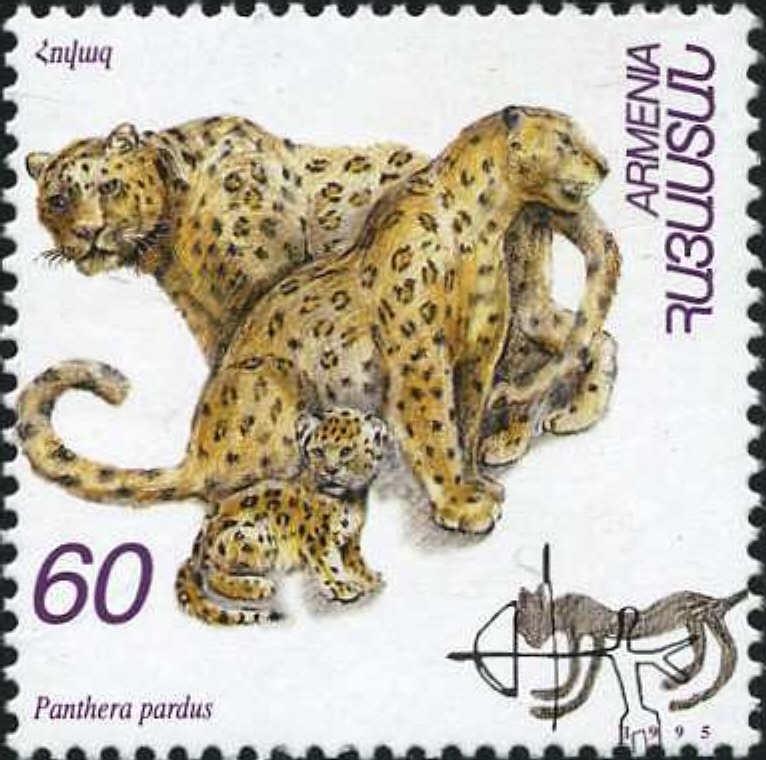 At the joint Stamp Show of the American Philatelic Society and the American Topical Association in Columbus Ohio “The Lion – Most Symbolic Animal of All” received Gold Award, “Felines in Armenia and Armenian Culture” received Large Vermeil Award, and “United States Post Offices with Animal Names” received Large Silver Award.